Important – Add Your Business Website to the FREE Google Search Console. Philly Online Marketing has been doing internet marketing for local businesses over 20 years. Consistently we are finding businesses that had no idea they needed the Google Search Console(Formerly: Google Webmaster Tools). They thought all they needed was a website or that there website person took care of it..sorry its not that easy. The Google Search Console is an extremely important necessity for your business and the health of your website. The more places your Business is found on Google the better chance you have of getting someone to find your website. The Google Search Console assures that everything on your website is being indexed and if not it will tell you why and what needs to be fixed. It will give you most everything you need to know about the health of your website and getting your website indexed on Google correctly. Which queries(Search words) caused your site to appear in the search results? Did some queries result in more traffic to your site than others so you can get more! Google’s Mobile First Indexing just rolled out July 2018 – Is your mobile site performing well for visitors searching on mobile? 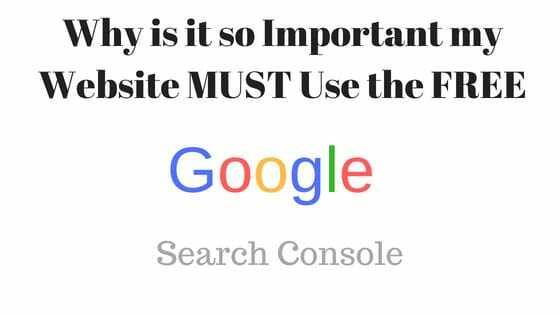 Why use the Search Console? Submit your XML sitemap – Its a map of all the links on your website. Typically it now takes a day or 2 until Google completely crawls your website. Once crawled by Google review the Search Console for website errors blocking your site from being indexed and get them fixed. You may have notifications from Google that were never addressed. It may tell you to set up Google my Business – If not set up already by all means DO IT. See what words and how many words your site is being indexed on Google as well as where each word ranks on Google(Page Position). I’m finding may of my clients are getting indexed on average for 500 to 1000 search terms(This can very widely depending on your type of business). If you see that your website is showing below these figures its probably time to get to work. You’ll need to update your website or build a new site or call in an SEO professional. Other websites that link over to your website play a primary factor in Google’s algorithm. Links Are Credibility..they give your website Authority. When many sites link to one of your web pages, even better. Link popularity works like any popularity contest. You want a lot of votes from businesses local to you and in your field of business. Preferably from other sites that already have high Credibility/Authority. However don’t buy links they need to be earned slowly over time. Buying links is a good way to get your site penalized at Google. This Links section helps you understand who links to you, what content gets linked most, and what anchor text other sites use to link to you. If you are a US based business and see several overseas URLs unrelated to your business you may have an issue which could be hurting your rankings. Anyone with a website! From generalist to specialist, from newbie to advanced, the Search Console will help you grow your business online to its fullest capacity. Even if you don’t think you know how to use Search Console, you should be aware of it and become familiar with the basics. You might hire your webmaster or a marketing specialist to help you set up your website with Search Console. In that case, you can work with that person to ensure you have access and control to all of the reports for your website. In addition, it’s a good idea to learn all you can about how your site is performing in search results so you can make important business decisions about your site. Once you are comfortable with the Google Search Console step 2 is to do the same for Bing by adding your website to their Search Console/Webmaster Tool. Need Help getting Started? You can reach us at our Website – As of today the Search Console has our website indexed for 834 Search Terms! 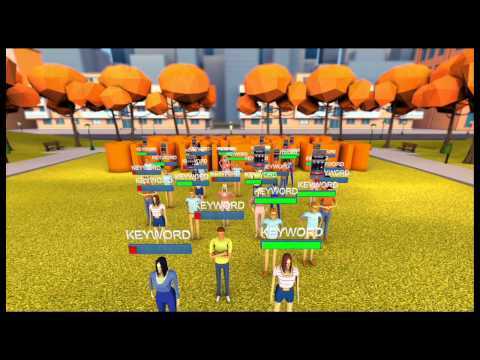 Philly Online Marketing has helped businesses develop unique and effective digital marketing programs that drive incremental revenue opportunities so your business can get more sales and leads. Highly proficient in digital marketing including SEM, SEO, Display, Remarketing, content syndication, mobile, web design and social networking. We are Google and Yahoo/Bing Certified, Google Adwords, Google Analytics & More. Call 484-278-6576 if you have any questions of concerns. Find out how much you never knew about your Website and how you can gain more Customers. Google Places listings on Google search results plays a crucial part in how your local customers contact or get in touch with you. Not long ago when you searched for a local business Google would show a map with about 7 businesses listed next to it. Google now moved the map to the top right of your screen and those Google Business listings are getting listed at the top of the search and, quite often, above all that time and effort you spent doing SEO. So your Local Business Listing is now called your Google Places listing and its now more important than ever. Below is a 2 part article that I recommend not only Philadelphia Businesses to read over but all local businesses who find it important to be at the top of the Google search. Improve your Google Places Business Listing rankings in Philadelphia, PA with these 3 Easy to follow tips steps. Google is now ranking business’s “Google Places Listing” above all that hard work they put in trying to get top rankings through search engine optimization(SEO). With that in mind your Google Places Listing has become very important to business owners. Here are parts 1, 2 and 3 on how to improve your Google Places rankings.